Fillmore's 1848 House on Franklin near Mohawk. Fillmore's 1858 House on Niagara Square. In 1822, a tall young man traveled west from the Finger Lakes in central New York to the tiny village of East Aurora on the Niagara Frontier. The son of a pioneer farmer from New England, he was born in a log cabin in Cayuga County. He had been trained as a farmer and mill worker, but developed a thirst for broader learning, attending school when work allowed, and reading voraciously. After serving as a teacher and law clerk near his home, he had accepted a school position in East Aurora and thus found himself passing through the forests of Western New York. This youth, Millard Fillmore, who was born Jan. 7, 1800, would one day become the 13th President of the United States and one of Buffalo's finest civic leaders. Fillmore's initial stay at East Aurora was shortlived. Before the year ended, he moved to nearby Buffalo where he taught and devoted some time to the reading of law. Buffalo was then a thriving community with a new harbor under construction in anticipation of being designated as the western terminus of the Erie Canal. The young immigrant soon abandoned teaching to concentrate on legal studies and was, shortly, admitted to the bar. Though offered a job in Buffalo, he chose to return to lawyerless East Aurora where he opened a law office and married Abigail Powers the sweetheart he had left behind in Cayuga County. His legal reputation grew quickly and he began to take an active role in public affairs. Transportation development and Holland Land Company policies were two major public concerns as the young attorney started what proved to be a long career of community service. Demands for a north-south canal to join the Erie Canal and the Alleghany River were aired at community meetings around western New York. In East Aurora, Fillmore joined the campaign to connect "Clinton's Ditch" to the Mississippi River system. He also assumed a prominent role in the "Agrarian Movement" protesting the policies of the Holland Land Company, owner of millions of acres in western New York from which most settlers had purchased their land. Settlers accused the company of pursuing policies damaging to area development while enjoying tax privileges that imposed the burden of building roads, bridges and school on them. They called for lower land prices, reduced mortgage interest rates, and revision of state tax laws. In February, 1827, Fillmore represented the Town of Aurora at a meeting of delegates from area counties held at Buffalo to propose measures for relief. A committee of petitions and correspondence, established by this "Agrarian Convention of the Holland Purchase" to lobby for redress, included such veteran leaders as General Peter B. Porter as well as the neophyte from Aurora, Millard Fillmore. The following year Fillmore was elected to the state assembly on the Anti-Mason Party ticket as protest spread across the state against alleged undue Masonic influence in government. In 1830 he moved back to Buffalo to practice law with Solomon G. Haven and Nathan K. Hall, a family friend who had studied law in his East Aurora office. 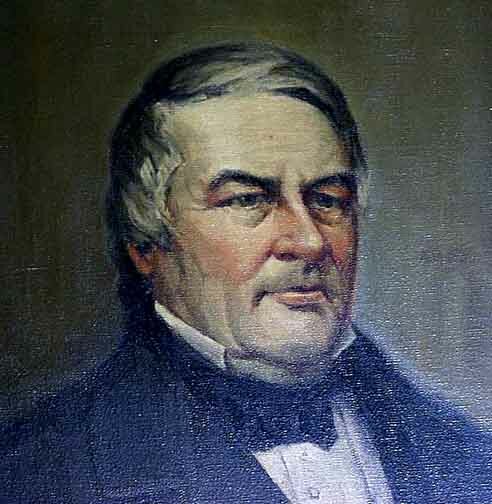 It was not long before Fillmore went to Washington as a member of the House of Representatives where he served until 1843. Four years later the popular Buffalo politician was elected state controller and in 1848 Vice President of the United States on the Whig Party ticket with General Zachary Taylor. Taylor's untimely death made him President at a time when the nation moved precariously to the brink of civil war over the issue of slavery. Fillmore endorsed a series of controversial congressional measures called the Compromise of 1850 and the breakup of the Union was averted for a decade. (While in office, he also installed the first bathtub in the White House). When President Fillmore retired from office in March, 1853, much of his life still lay ahead of him. Active politics no longer monopolized his attention except for a brief adventure as presidential candidate of the American Party and the remnants of the dying Whig Party in 1856. A man of independent means by now, he returned to Buffalo where he devoted the rest of his life to serving the city's social, educational and philanthropic needs. The widowed former Chief Executive married Caroline C. McIntosh, the wealthy widow of a Troy merchant, and they purchased an mansion on Niagara Square which quickly became one of society's most gracious social and cultural centers. The widowed former Chief Executive married Caroline C. McIntosh, the wealthy widow of a Troy merchant, and they purchased an elegant mansion on Niagara Square which quickly became one of society's most gracious social and cultural centers. This was a far cry from the log cabin of Fillmore's birth or even the plain two story white house on Franklin Street where he had lived for a quarter of a century. Over the years, the Fillmores hosted such visiting dignitaries as the Japanese ambassador, a prince of England, and two American presidents. When a diplomatic crisis with England caused a war scare, the commander of the Union Continentals prodded Albany and Washington to beef up Buffalo's defenses for fear of attack on the harbor and Erie Canal And in the spring of 1865, he had the sad task of leading a delegation to meet the train bearing the remains of the assassinated Abraham Lincoln enroute to Springfield, Illinois for burial. Civic endeavors in other areas benefited from Fillmore's energy. He realized Buffalo's potential for further growth as a great commercial hub and development into an industrial center. He boosted commerce by pushing harbor improvement and expansion of the Erie Canal. In 1863 he represented the local Board of Trade, now the Chamber of Commerce, at the National Canal Convention in Chicago. Ceremonies opening a new rail line between Olean and Buffalo afforded him a welcomed opportunity to a applaud those investors, many of them from Buffalo, who had made the project possible. Education as well as commerce and industry continued to attract the interest of this former teacher. Many years before, he had been a strong supporter of efforts to establish a free common school system. He had joined in 1846 with a group of men, mostly medical doctors, to found a university in Western New York. It was his partner Nathan Hall, then a state assemblyman, who guided through the legislature a bill chartering the University of Buffalo. And it was Millard Fillmore himself who was chosen as Chancellor of the new institution, a mainly honorary position he held up to his death. The university operated for four decades as solely a medical school although other units were projected. Chancellor Fillmore spent many years urging the community to support the establishment of a Liberal Arts college but it was not until more than ten years after his death that this dream was realized. 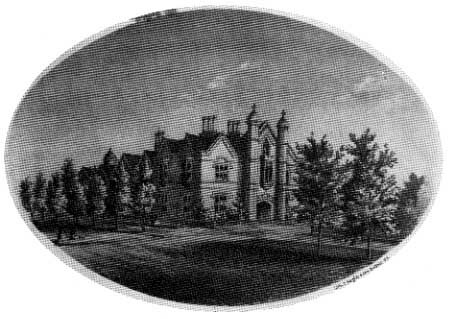 The need for medical education that led to the founding of the University of Buffalo was soon matched by the need for a new hospital to supplement one set up by the Sisters of Charity in 1848. Fillmore did not hesitate to assist the General Hospital Assn. as a contributor and worker in a fundraising campaign which led to the opening of its new facility in 1858. Twelve years later he was elected president of the board of trustees. His sense of humaneness also prompted him to speak out for the enforcement of laws against mistreating animals as well as aid in founding the Society for the Prevention of Cruelty to Animals to which he lent his prestige by serving as vice president. The former President's talents were given unselfishly to the development of a number of community social and cultural organizations. He was a founder and first president of the Buffalo Club, an exclusive purely social group. The Buffalo Fine Arts Academy came into being and prospered in part because of his support as a contributor and member of the governing board. A longtime friend and eventually president of the board of trustees of the Grosvenor Library, he helped lay the foundations of one of the nation's finest reference collections, now housed in the Erie County Public Library. When the Society of Natural Sciences ran into financial difficulties, he headed a fundraising committee whose efforts were highlighted by a "Grand Ball for Science." There was no civic organization closer to Fillmore's heart than the Buffalo Historical Society. In 1862, Lewis F. Allen, uncle of a future president, Grover Cleveland, suggested that something be done to preserve the "records and relics" of Buffalo's past. Shortly thereafter, ex-president Fillmore presided over a meeting which brought the society into being, and he was unanimously elected its first president post he held for five years. He successfully convinced the society to expand its purpose from solely preservation to include the teaching of history. He directed expansion of its collections, endeavors to raise funds, and efforts to find it a home. The Historical Society quickly outgrew its original home, a few rooms rented from member William Dorsheimer. Consequently, it joined such other beneficiaries of Fillmore's activities as the Fine Arts Academy, Grosvenor Library, and Society of Natural Sciences in occupying a culture center, the former St. James Hotel on Main, Eagle and Washington Streets. 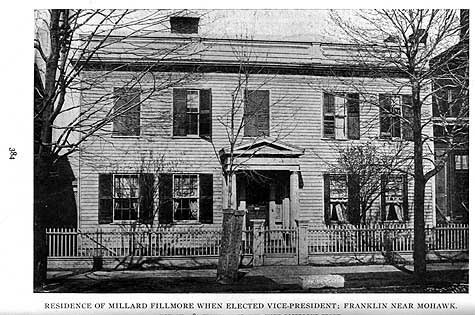 Buffalo lost one of its finest community leaders when Millard Fillmore died on March 8, 1874. Here was a man who had not only seen it grow from a small village to an expanding urban center, but had done much to guide many phases of its growth. The journey from the log cabin in Cayuga County to a gravesite in Forest Lawn Cemetery had been an exciting one devoted to serving the nation, the state, and his neighbors in Niagara Land.